UPDATED: Tue., Nov. 28, 2017, 6:59 p.m.
SEATTLE – Dennis Erickson, the former Washington State and Seahawks coach, has made a pitch to Oregon State officials to return as the Beavers’ head football coach, the Oregonian is reporting. 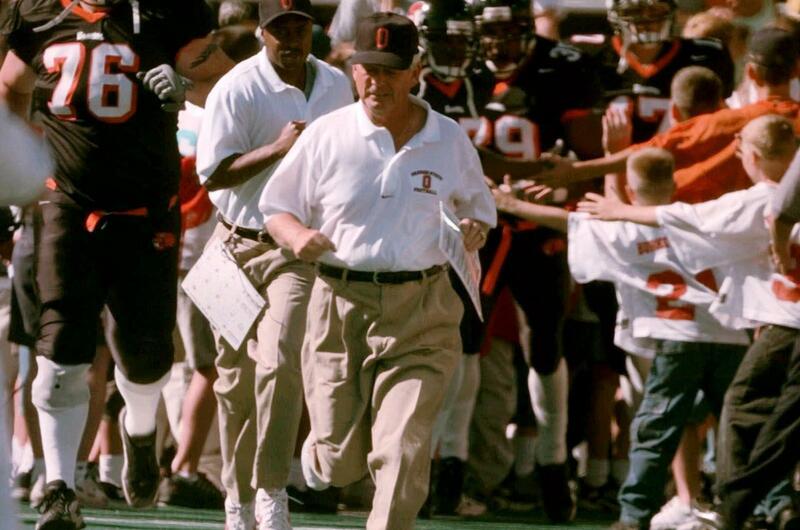 Erickson, 70, was the Oregon State coach from 1998-2002, leading the Beavers to the best season in school history in 2000 – an 11-1 record, a victory over Notre Dame in the Fiesta Bowl and a No. 4 ranking. His quarterback at Oregon State that season was Jonathan Smith, who is now in his fourth season as the Washington offensive coordinator. As part of his pitch, Erickson plans to bring Smith, 38, back to Corvallis as an offensive coordinator with a coach-in-waiting designation. Smith did interview for the Oregon State opening earlier this month, the Times has learned. Former Eastern Washington coach Beau Baldwin, who just wrapped up his first season as Cal’s offensive coordinator, is believed to be on Oregon State’s short list of candidates. Erickson began his coaching career in 1969, and he’s had stops at four Pac-12 schools (Washington State, Oregon State, Arizona State and Utah, where he was an assistant from 2013-16). At Miami, he won a share of the 1991 national title (with UW) and had two stints as an NFL head coach (Seahawks, 1995-98; 49ers, 2003-04). After he was fired at Arizona State in 2011, Erickson spent a season out of coaching in Coeur d’Alene. Retirement didn’t suit him. Published: Nov. 28, 2017, 4:26 p.m. Updated: Nov. 28, 2017, 6:59 p.m.